For those of us in the northern hemisphere that are still deep in the throes of winter, a beach getaway is looking pretty good right about now. While staying indoors and cozying up to Netflix has its charms, most of us would gladly trade it for a secluded beach in a far-flung locale. To feed these winter daydreams, we’ve scoured the internet for the best hidden beaches for you to escape to as soon as your schedule allows. Without the crowds and huge resorts, these beaches are both remote and lust-worthy -- sure to head straight to the top of your bucket list. Playa Xcacel beach has it all. Not only is it a turtle sanctuary where you can watch baby turtles hatch every year between April and October, but it also is home to a beautiful cenote (a freshwater sinkhole) hidden in the tropical jungle just steps away from the beach. Simply follow a winding path from the shore into the jungle and you can rinse off all that salt from the ocean in a crystal clear jungle watering hole. Oh and did we mention that the beach itself has powdery white sand and turquoise waters? Where to stay nearby: Tulum is full of boutique hotels that will satisfy every Instagrammers wildest fantasy. Try Coqui Coqui for a truly chic, luxurious feel. 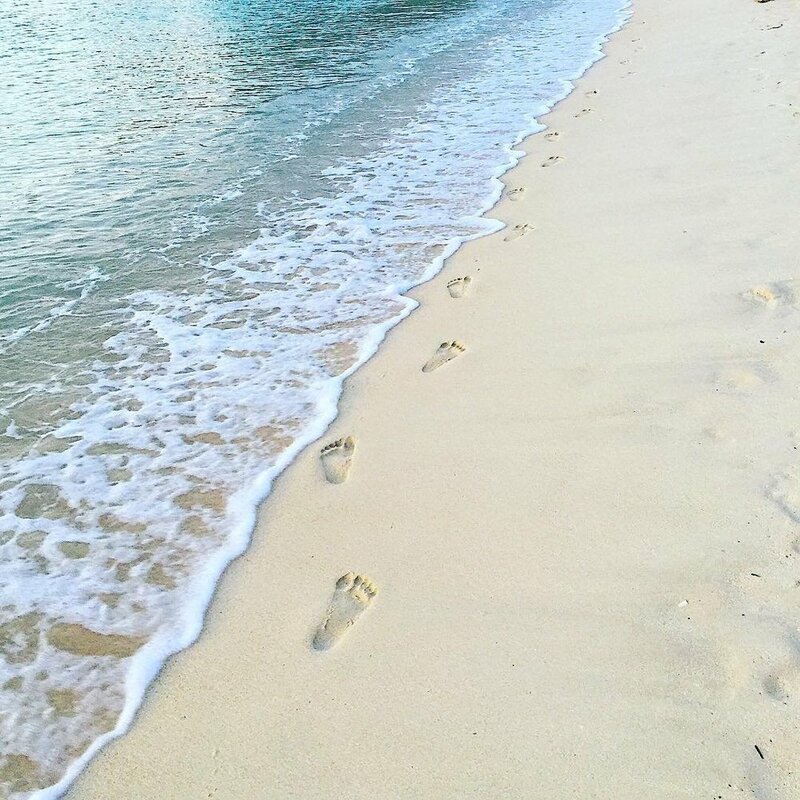 While not exactly a secret, this secluded beach will certainly feel like your own personal discovery after walking down steep stairs and crouching through a natural cave to reach its white sandy shores. Green Bowl Beach boasts a shipwreck, clear waters and caves in the limestone rock that provide natural shelter. And after you’re done relaxing on the beach, you can head to Single Fin nearby for a cocktail and to watch all of the experienced surfers ride some seriously impressive waves below. Word to the wise: make sure you go during low tide so that you can enjoy the beach before the waves take it over. Where to stay nearby: For the ultimate in luxury experiences, check out Alila Villas Uluwatu or Bulgari Resort Bali. 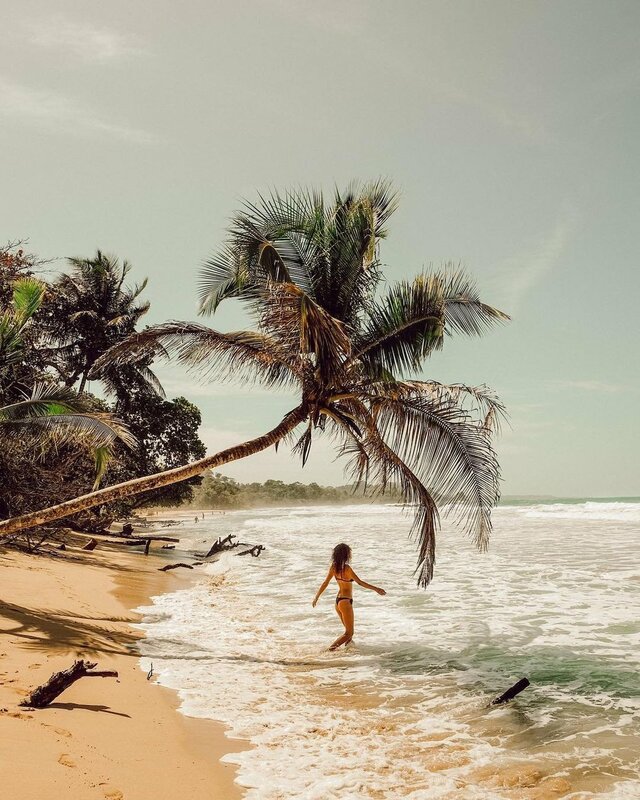 If you’re looking for a more untamed experience, Red Frog Beach, tucked away in the Bocas Del Toro archipelago in Panama, is for you. Named for the red frogs you can sometimes spot nearby, Red Frog Beach is only accessible by water taxi and is enclosed by large swaths of jungle, which you can explore through the resort nearby if you’re up for an adventure. With imposing golden cliffs, a cave sculpted into impressive form by years of wind erosion, golden sands and clear green waters, Praia de Benagil fulfills every possible secluded beach requirement. Located in Portugal’s famous Algarve region, it’s the perfect setting for your next beach getaway. 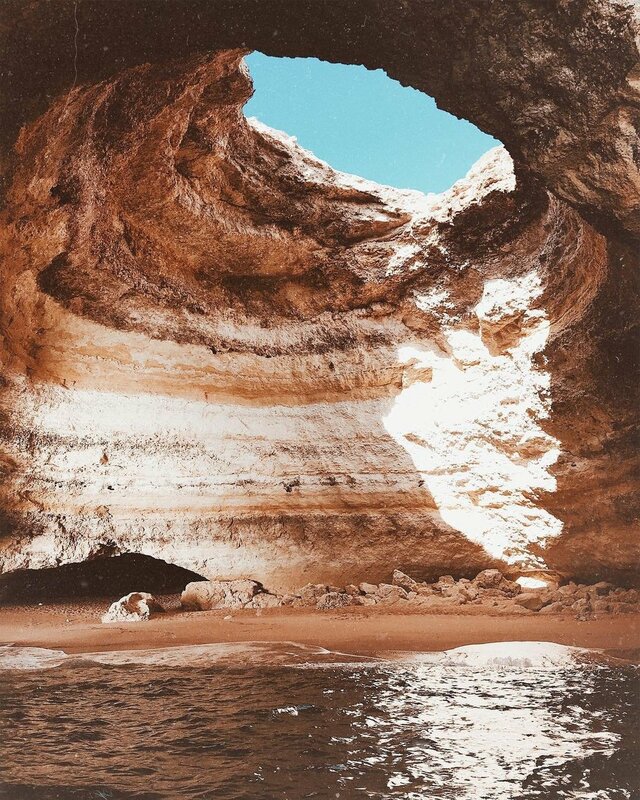 Take a boat tour to all of the caves in the area or just lay out your towel and warm yourself on the glittering sand. Where to stay nearby: Casa Mae offers bright, spacious suites that ooze with a modern beachy feel. Palawan Island in The Philippines is home to some of the most stunning beaches in the world. Although many of these beaches are only accessible by boat, Las Cabanas Beach is just a short ride away from El Nido Town and the best place to go for a spectacular sunset. With clear waters, soft sand and plenty of quaint beach bars with chairs and bean bags for relaxing, this is a good option when you still want some modern comforts but nothing too overdeveloped. The beach stretches around the corner and is made even more distinctive by the area’s entrancing limestone cliffs. 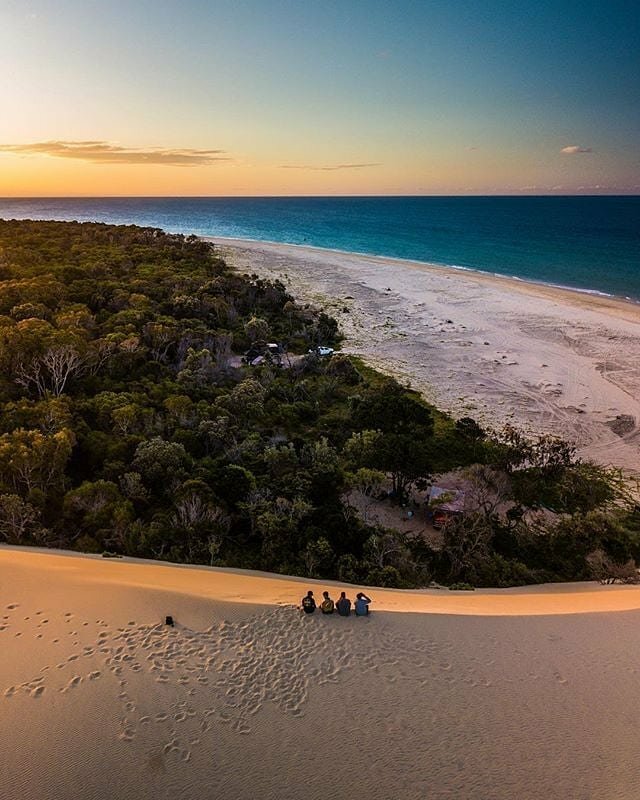 Fraser Island in Queensland Australia is the largest sand island in the world and is said to be the only place on the planet where rainforests grow on sand dunes. With freshwater dune lakes, tropical forests, and over 250 kilometers of sandy beaches with pure turquoise waters, it’s an otherworldly destination you’ll want to visit at least once in your life. Located about 300 km north of Brisbane, ferries to the island run from Hervey Bay and Rainbow Beach daily. 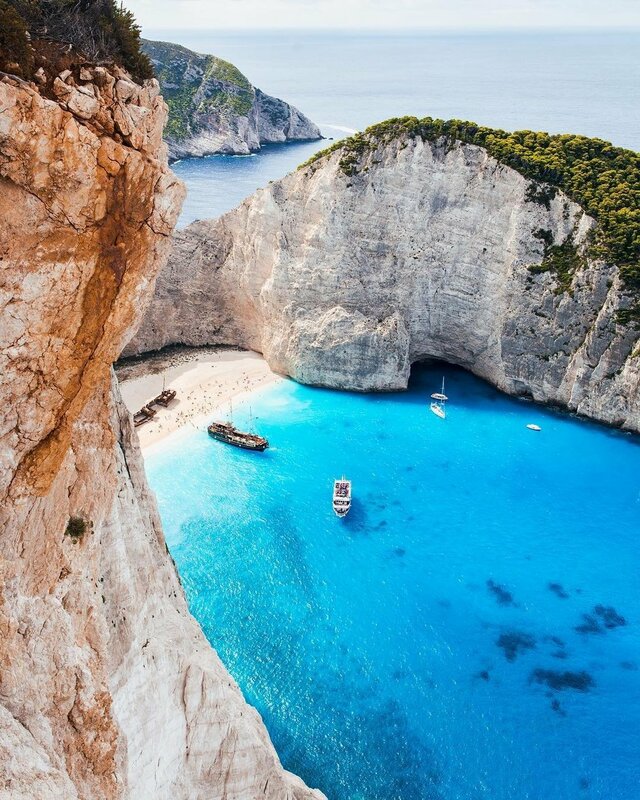 Smuggler’s Cove, also known as Navagio or Shipwreck Beach, is a picturesque cloistered cove on the coast of Zakynthos in Greece’s Ionian islands. Legend goes that in 1980, a freightliner, reportedly smuggling contraband, was forced to ground itself on its idyllic shores, hence giving this beach its name. The abandoned ship still resides on the beach and the cove is only accessible by boat, which we think only further adds to the allure. Where to stay nearby: For quintessential Greek charm, look no further than the Peligoni Club.